And so, to end this week on a high note, we have notice of the final chapbook review by Angela Slatter, our Antipodean correspondent. 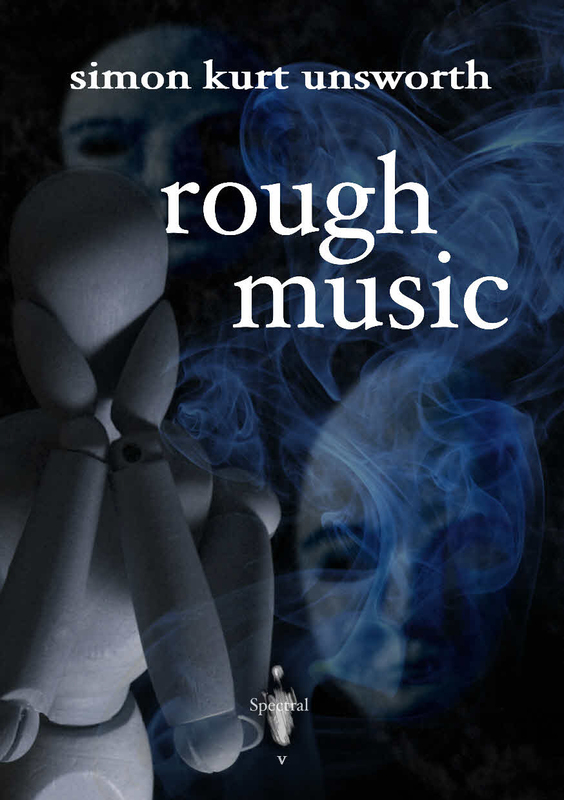 This one’s of Simon Kurt Unsworth’s Rough Music, and you can read the good doctor’s diagnosis here. Meanwhile, even more news about John Llewellyn Probert’s The Nine Deaths of Dr. Valentine. As you all know, the title is due to be launched at the year’s FantasyCon, to be held in Brighton in the UK at the end of next month. Now that the limited signed hardback edition is to all intents and purposes sold out (there are still TWO copies left to be snagged, however), paperbacks will also be made available for purchase. These will be £6 each and the only difference between these and the hardback will be the omission of the Appendix. If you are not attending FantasyCon but would like a paperback copy please let us know here at Spectral Towers by emailing us on spectralpress[AT]gmail[DOT]com and we’ll reserve one for you. Looking forward to hearing from you – onwards and upwards!